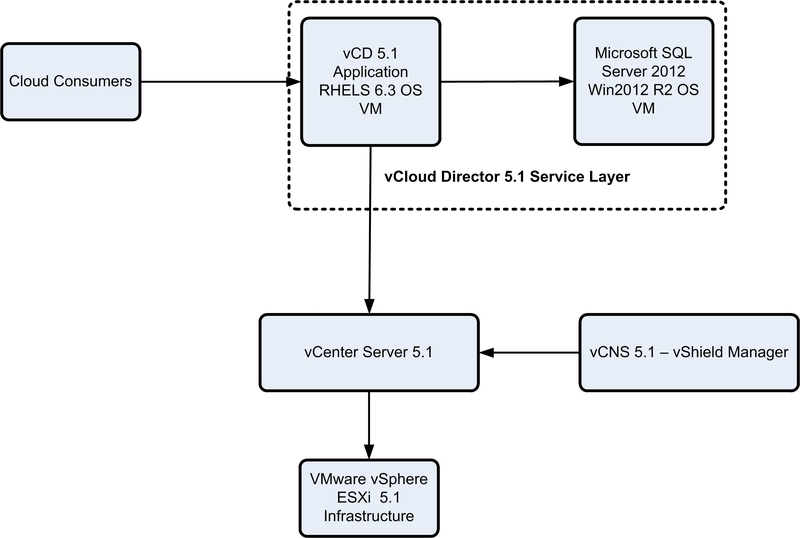 As part of my push to prepare for the VCAP-CID/CIA exams, I have been spending a lot of time with vCloud Director 5.1 in my lab. I know it is not vCAC with NSX, but if you want to pass the VCAPs for Cloud, you will have to work with this configuration. The build process takes approximately 4 hours. Download the Binaries for Windows Server 2012 R2, SQL Server 2012, RHELS 6.3, VMware vCloud Director 5.1.3, vCNS 5.1.4 and libXdmcp-1.1.1 (free). Copy the ISO images to a repository that is accessible to the ESXi Hosts where you will build vCD 5.1. Also download and familiarise yourself with WinSCP, it will be used to copy the vCD bin file and libXdmcp RPM package to RHELS. You have a fully functioning vSphere environment that has resources for vCD. You want to install the full version of vCloud Director on RHELS with an SQL Server 2012 database. You are not interested in using the vCD “Evaluation” Virtual Appliance. You are building this configuration for a lab environment and are content to use the “minimum” configuration methodology described here (eg. single vDisk for OS, App & DB, no AV agent, etc.). You are now ready to begin the build with Part 2. Looks like you can just yum install libXdmcp, assuming you have internet access.